The job was finished and Danny’s friend John, who had been with him on his first trip, was scheduled to arrive in Sydney in a couple of weeks. 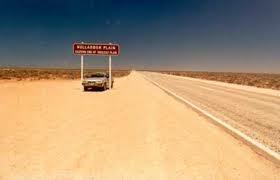 In order to get to Sydney he hitchhiked across the Nullarbor Plain, an almost treeless area of limestone bedrock that is about 77,000 square miles in total between South and Western Australia. Catching a ride with a traveling salesman in his caravan, (a car pulling a trailer), they drove the whole day on the plain, stopping for the night at a station, which had a motel and not much else. The stations were 150 miles apart with nowhere else along the way to buy water or gas. Water was very expensive and the idea was to buy a canvass water bag to keep your water in. Wanting to get an early start, Dan hitched a ride with a man who was a major in the army, leaving at 6:00 a.m. sharp. Not wanting to be late he was there at 5:45, they put their water bags at the front of the car and were off. The thing about these canvas bags was that if they were well used, they would swell and keep the water cool, but if they were new the water would leak out. By the time they stopped for lunch Danny’s water bag was almost empty. The major had two water bags of his own but didn’t offer any water to Dan! Finally later on down the road he did offer him a little bit. To make matters worse they hit a hole they didn’t see because it was covered with dust, and the car went out of alignment slowing down the travel considerably. 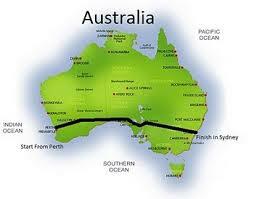 At the first civilized town the Major dropped Danny off and he continued to hitchhike to Sydney. Peter, the friend that joined Dan and Mick for a while in Europe, lived in Sidney, so Dan was able to stay with him for a few days until John arrived. It took John awhile to recognize Danny, he’d grown a beard and had changed a lot since leaving as that wide-eyed adventurous boy almost two years ago. The first order of the day was to find a job to finance the next leg of the journey. They both got hired working for the Sydney water and sewer works digging trenches. This was hard labour and after two days when Dan hit a pipe which covered him in sewage they both walked away and didn’t go back.